Every New Year’s Eve we always have a family party to celebrate the New Year! 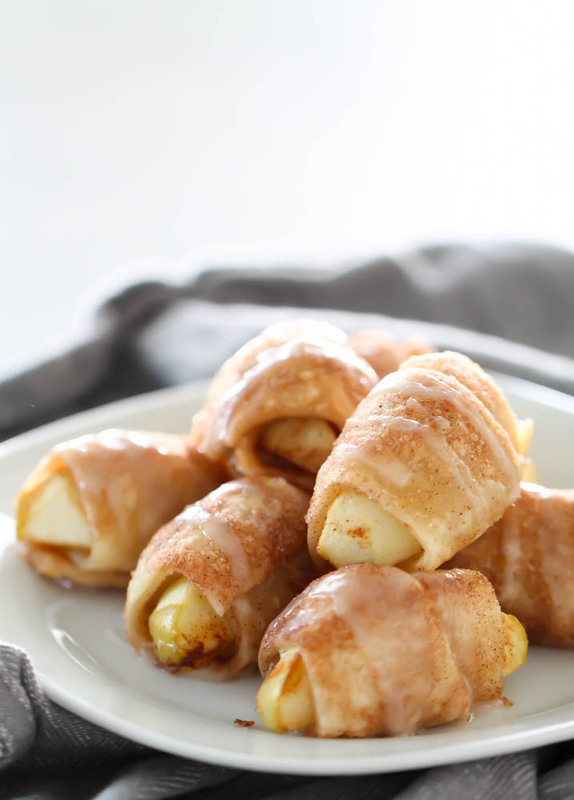 We have delicious treats and finger foods, so we decided to share a few of our favorites with you in case you needed any ideas for your New Years Eve Party! New Year’s Eve may not be exciting for moms and dads with small kids. Why would we intentionally stay up late (and let the kids stay up too!) when we’re already feeling a little sleep deprived? Celebrate early! Set the clocks so that “midnight” rolls in around 7 or 8pm. Bang pots, toot horns, kiss them, and send them off to bed! Slumber party! Let the kids do something a little special, by sleeping together in another room. Hire a babysitter! Go out with friends and leave the kids behind. Leave behind some special treats, a movie, or other activities. Celebrate at breakfast! Instead of a late night, celebrate with a special breakfast the next morning. Try our Overnight Baked Caramel French Toast. New Year’s Eve is about celebrating the past and looking forward to the future. Many take this chance to set new goals and resolutions for the coming year. Here’s a fun way to incorporate this tradition into your New Year’s Eve Party. Have everyone write down 1-2 goals they have for the coming year and put them in a hat. The host then reads the responses, one at a time, while the guests guess whose goal it is. Whether you’re hosting the party or you’re taking something to a potluck, these recipes are sure to please a crowd (and your kitchen). They’re simple to make, but delicious to the taste. Remember that small finger foods are always a hit. Everyone wants to try a little bit of everything. Just make sure to make a lot so they can come back for more! Here are 25 of our favorite party foods. 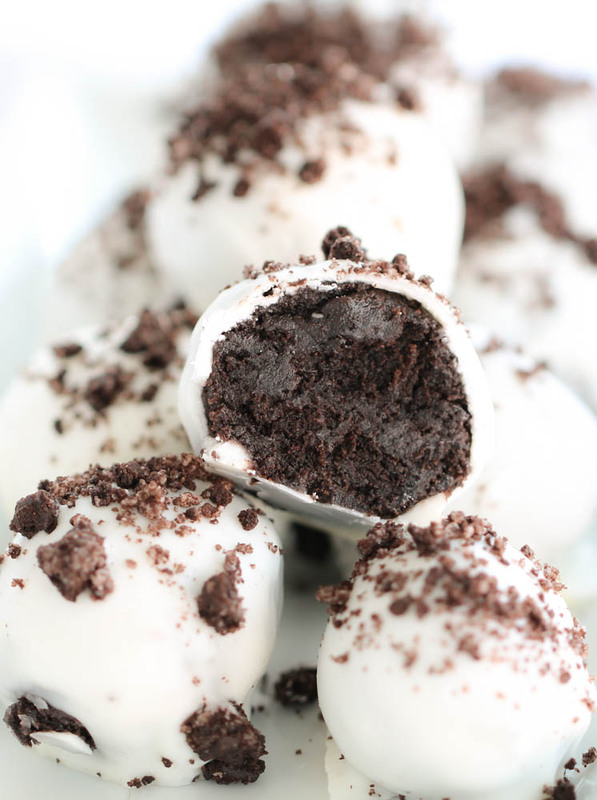 Oreo Cookie Truffles – These cookie truffles take only 3 ingredients to make. They are fast, easy and everyone will love them! This recipe is one of my top treats I make for parties. 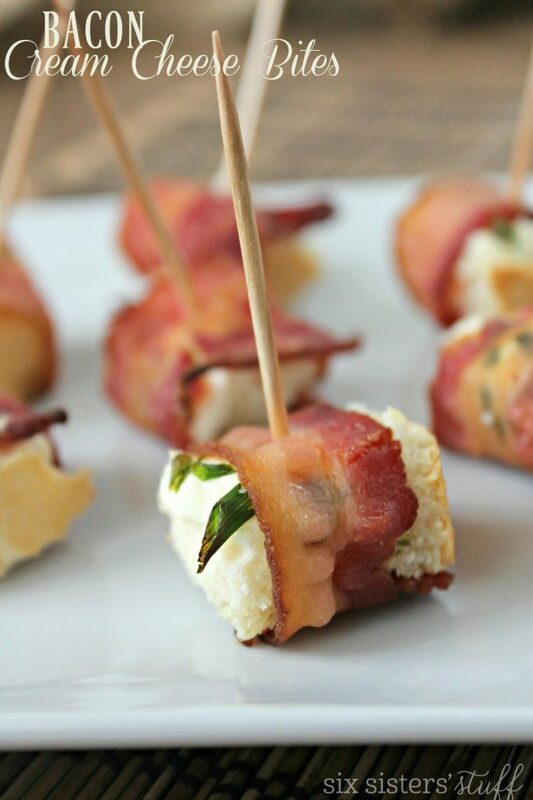 Bacon Cream Cheese Bites. 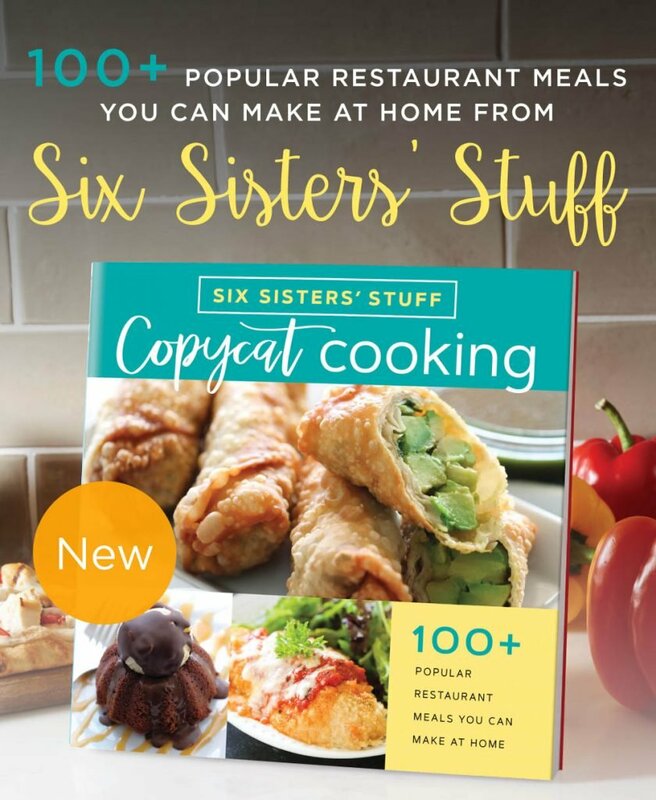 Your guests are going to love these! With the bacon, bread, and cream cheese, you just can’t go wrong! Bite Size Apple Pies are here so you can have apple pie for every holiday! Bite Size Carrot Cakes – need I say more with this one? 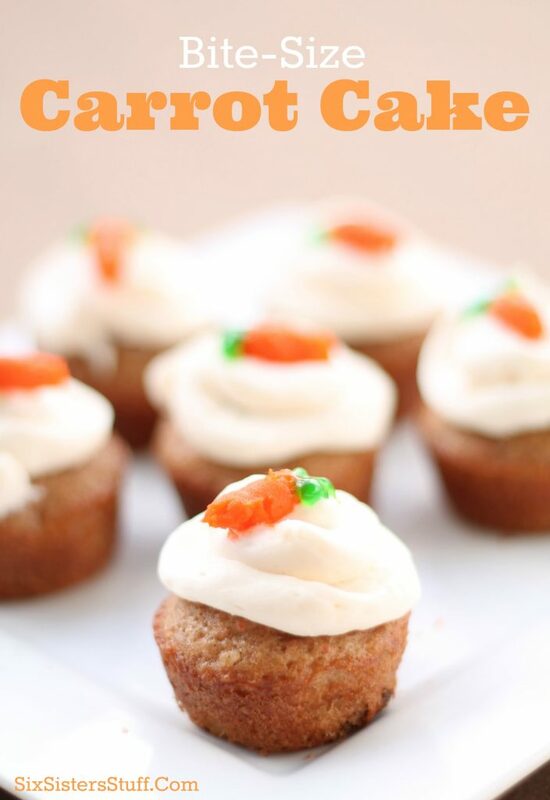 These Mini carrot cakes are delicious and so easy to make! 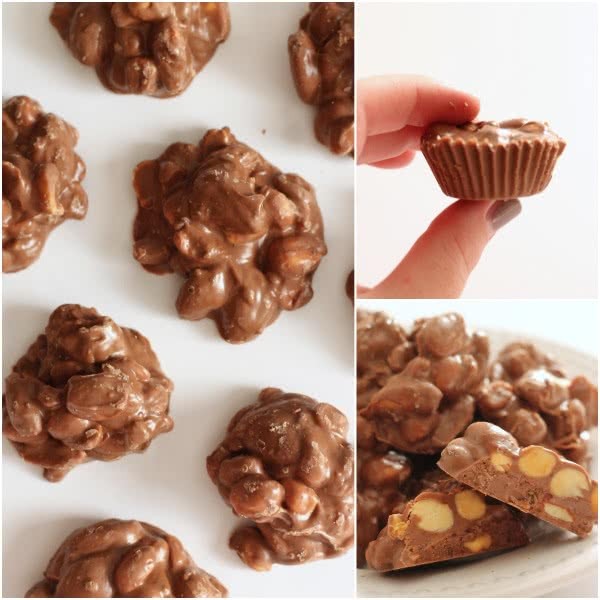 Crock Pot Nut Clusters – This makes A LOT! You can store them in a container, share with neighbors and have enough for your party! 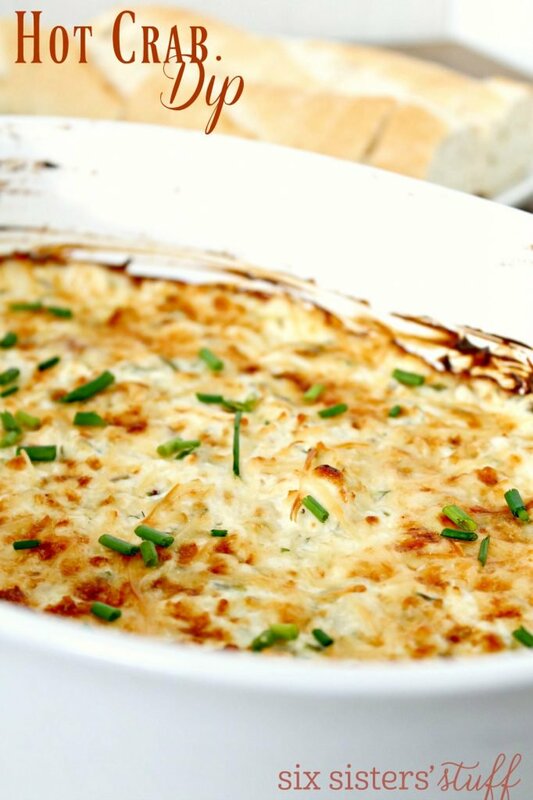 Hot Crab Dip – If you love crab, then this recipe will be a HUGE hit! 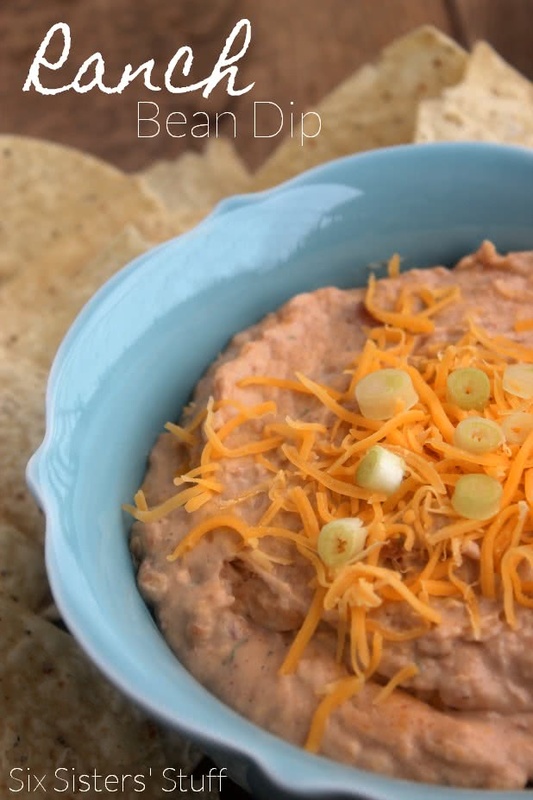 Ranch Bean Dip– I didn’t think the ranch and the beans together could taste so good. 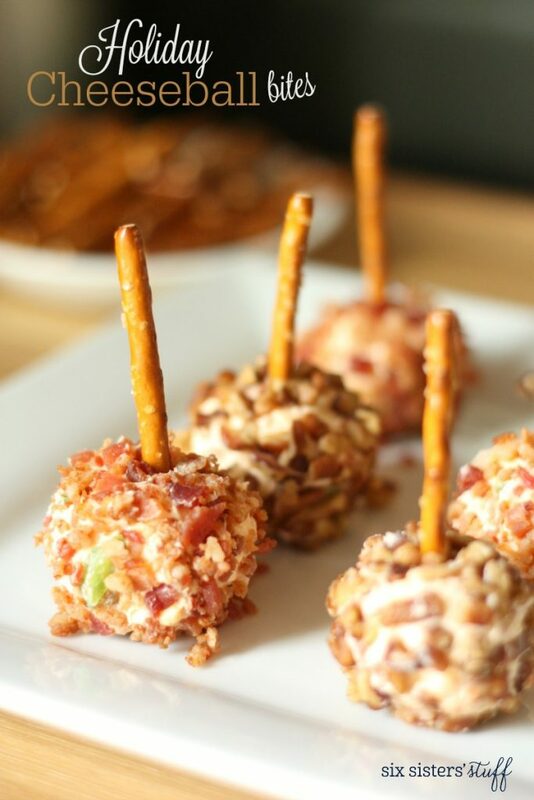 Holiday Cheese Ball Bites– not only are they easy to make, they are the perfect party snack! 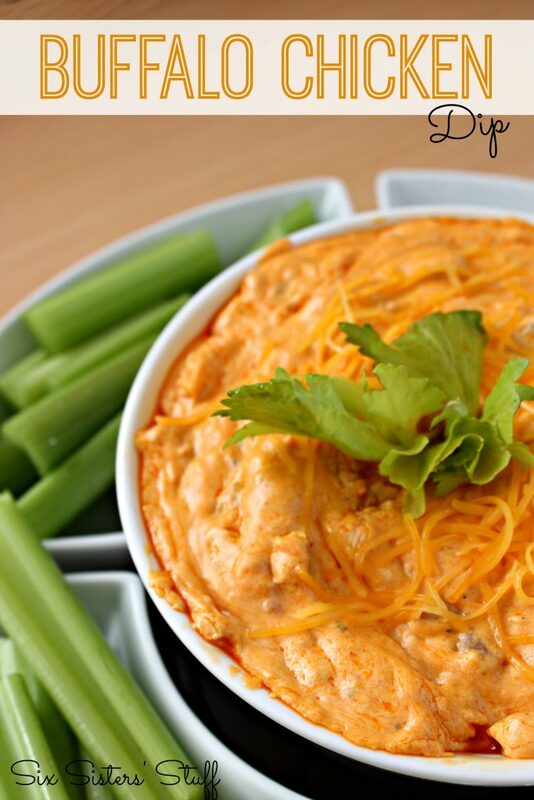 Buffalo Chicken Dip – If your crowd likes things a kick, this is the recipe for you. 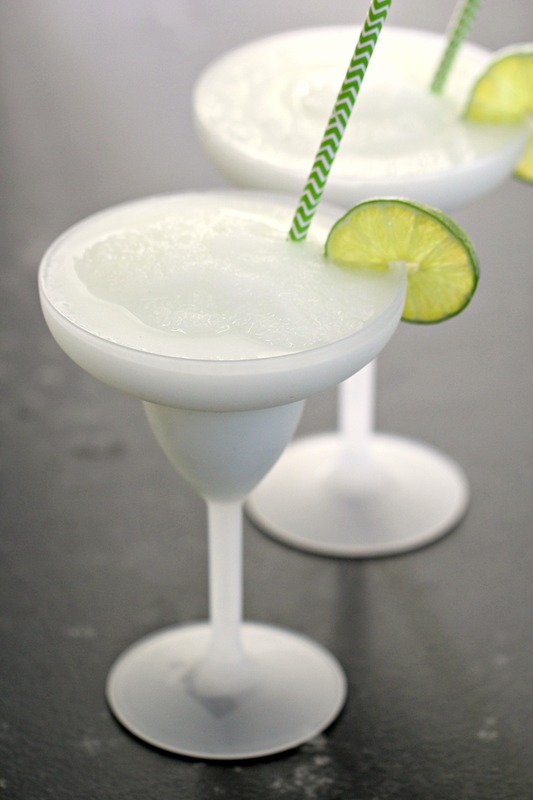 Pina Colada Slush Drink – we always make delicious drinks on New Years Eve! These are one of my favorite. 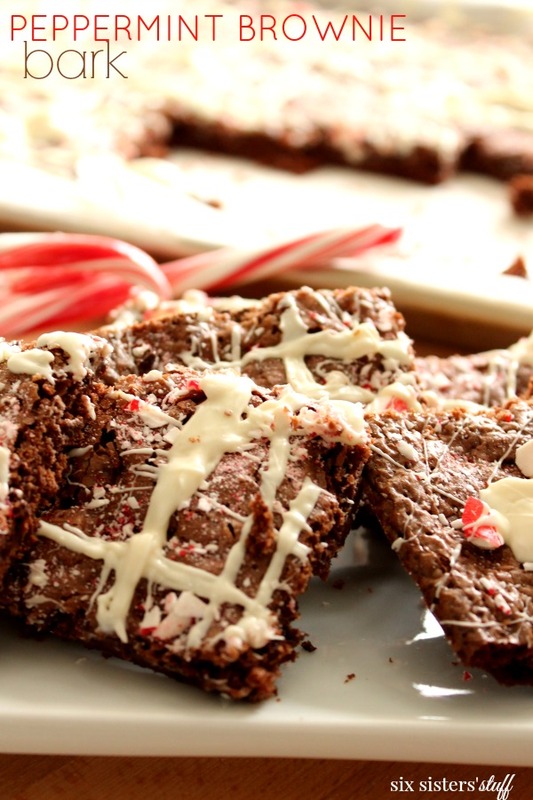 Peppermint Brownie Bark– brownies and bark together, YES PLEASE! 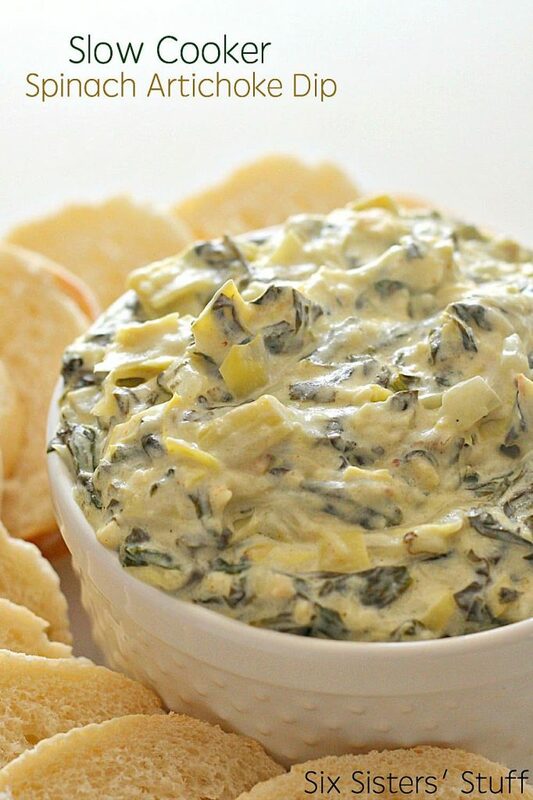 Slow Cooker Spinach Artichoke Dip – This is one of my most popular recipes and for a good reason. 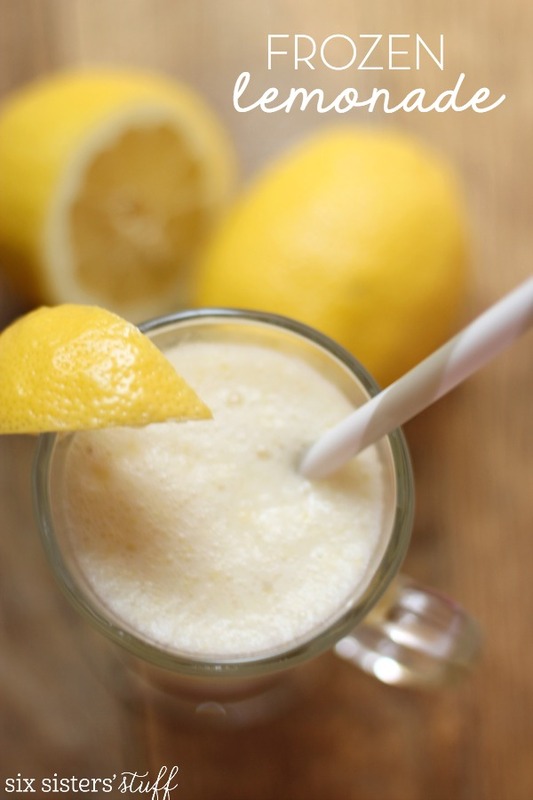 Frozen Lemonade – If you love Chick-Fil-A’s Lemonade, then you are going to love this. 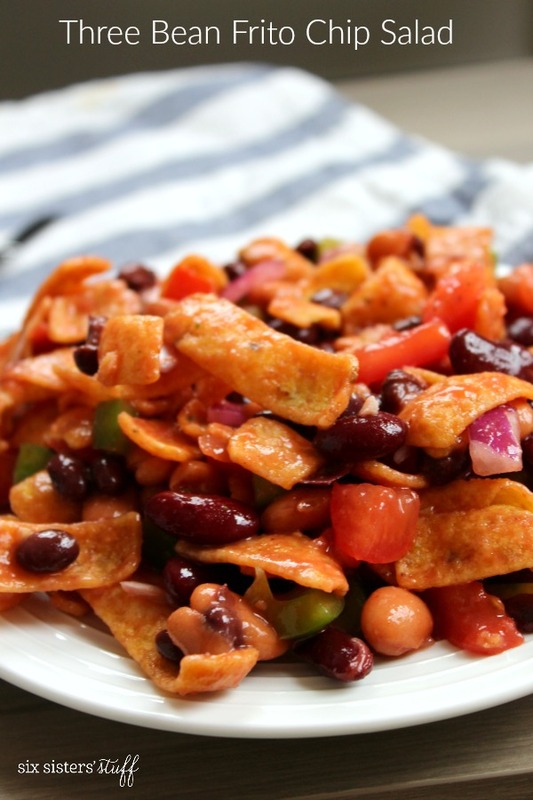 Three Bean Frito Chip Salad Recipe – you can’t go wrong with this recipe! 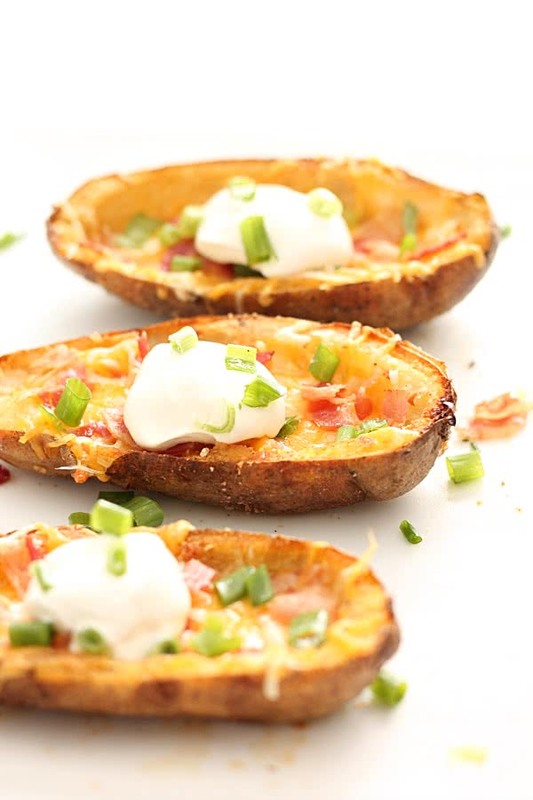 Loaded Baked Potato Skins – take out the middle and make some mashed potatoes for dinner, then take the skins and make a delicious appetizer. 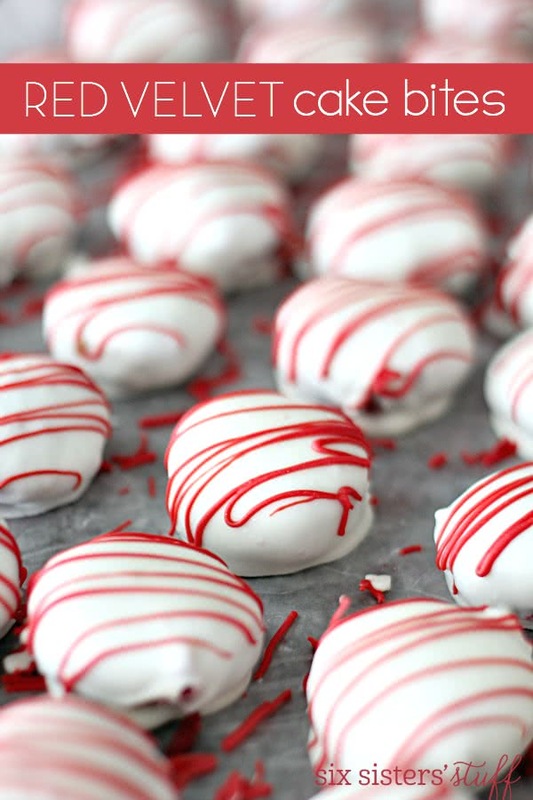 Red Velvet Cake Bites – they are probably the best cake bites you will ever eat. 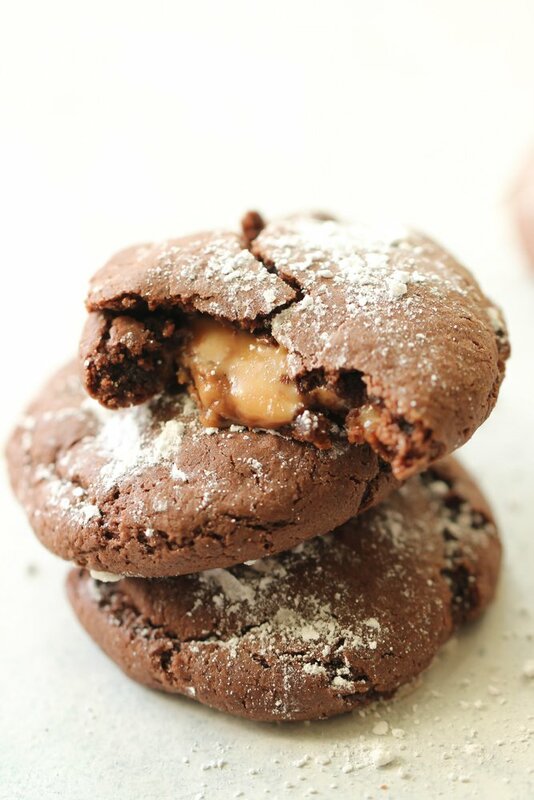 Rolo Cookies – this is another easy one! You only need 4 ingredients to make these delicious cookies! 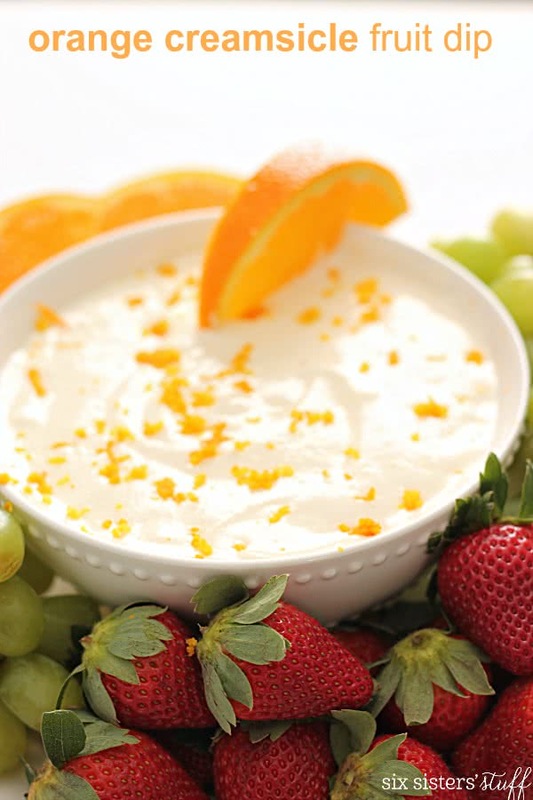 Orange Creamsicle Fruit Dip – this recipe brings a little bit of summer to your party. 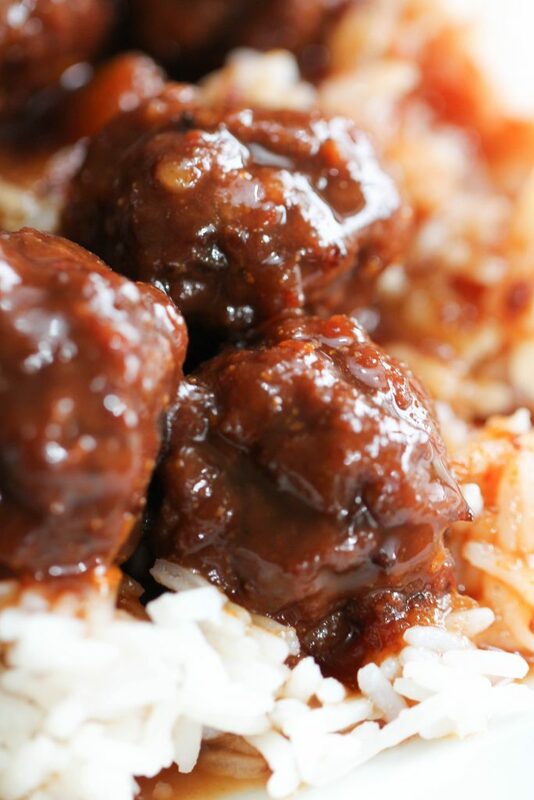 Sweet & Tangy Meatballs– grab some toothpicks and your appetizer is done so quickly. 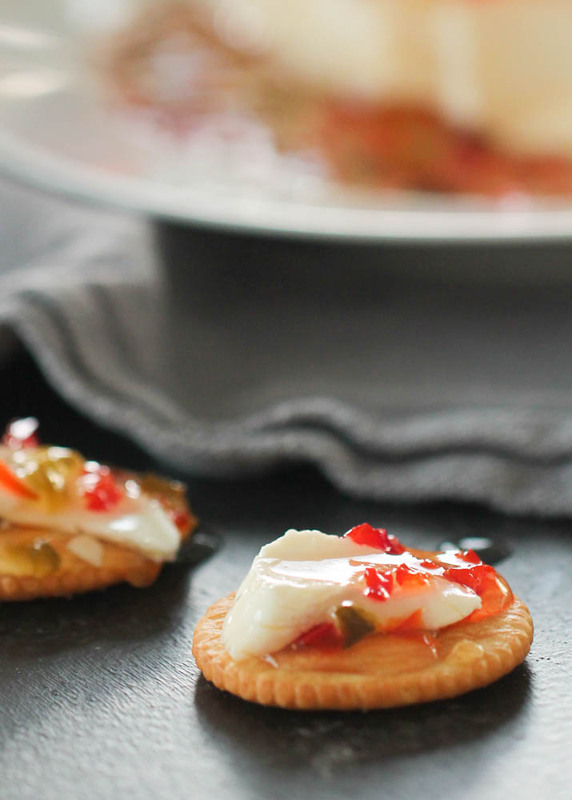 Easy Red Pepper Jelly – crackers, jelly and cream cheese are the perfect combination. 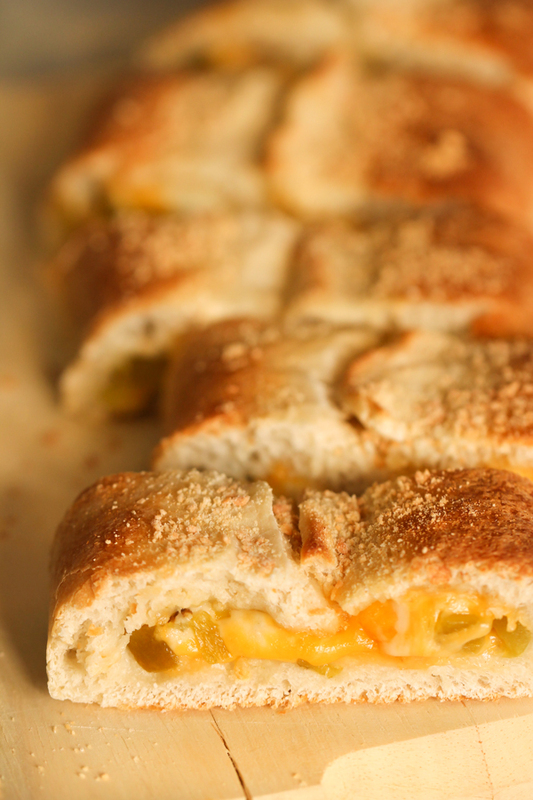 Zesty Cheesy Bread – the cheese in the middle has a delicious kick! 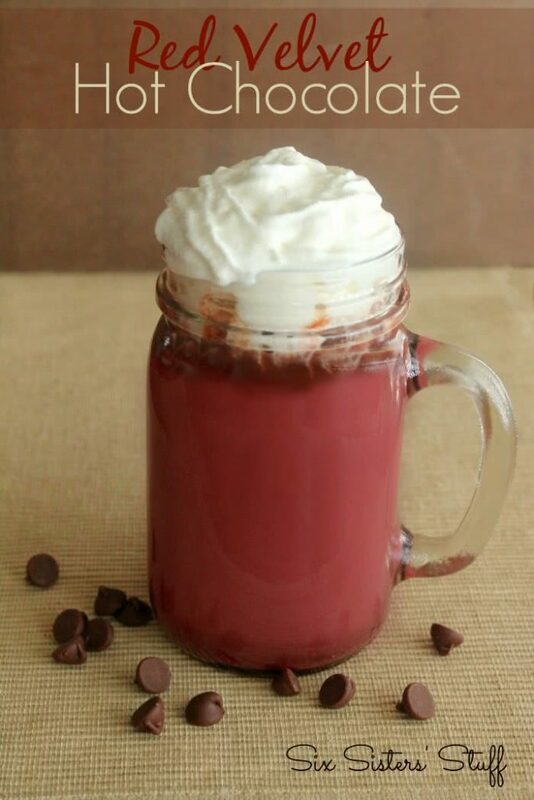 Red Velvet Hot Chocolate – spice up your hot chocolate with some Red Velvet Hot Chocolate. 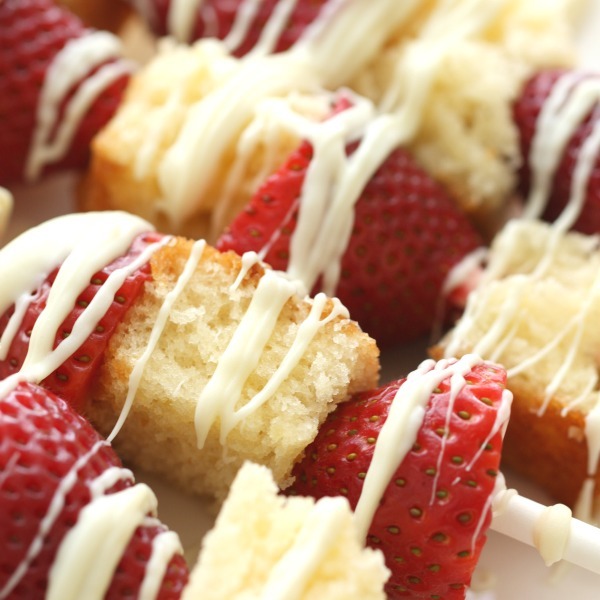 Strawberry Shortcake Shish Kabobs – individual strawberry shortcakes are so fun to make! Prepping for your next holiday party? Here are some other recipes you may like. Still need to find something to take to the New Year’s Eve Party? Well you are in luck. Today on our Youtube Channel, we are showing you how to make NO BAKE Peanut Butter Cup Truffles. I wish the recipes on Recipe Magic had more comments. I'm not one of those gals that likes to try new things unless about a thousand other people like it. Many of the recipes on MyRecipeMagic will take you to a blog and there you will find comments. Great compilation of some fave party foods! If you are looking for healthy or gluten free Leina maybe you should add those words to your Google search!